Blackburn Business Improvement District has announced the appointment of a new manager as they begin their second term supporting Blackburn Town Centre businesses. Catherine Price, previously Town Centre Manager for Burnley and Padiham, began work for the BID at the beginning of April 2019 and is already looking at an exciting programme of work to build on the achievements of the BID during its first five years. Catherine will be focused on creating strong links with local businesses and organisations and working with the 350 businesses that make up the Blackburn town centre BID. Catherine told us: “Blackburn BID has achieved so much in its first five years and I am really excited to be at the heart of its work as a new five-year term begins. 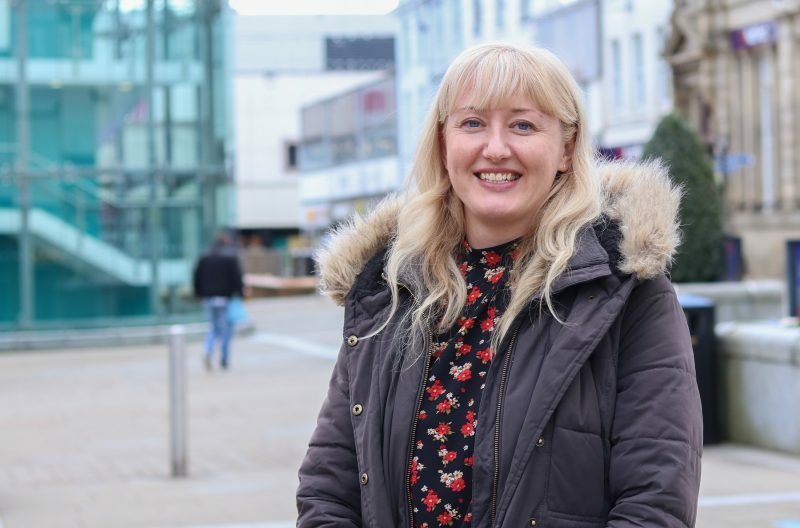 “I am keen to meet as many of our members as possible and to start work on the BID’s key strands of work: marketing & promotion; environmental improvements; and safety and security in the town centre. “As part of the consultation for the BID’s new term, it was clear that our businesses’ priorities have changed over the years, so as well as building on our success, I am keen to focus on these issues. Nicola Clayton, Chair of Blackburn BID said: “We are thrilled that Catherine has joined the BID as our new manager. She is highly experienced in place management and her skills are going to be a fabulous new asset for the BID and the town centre. The whole BID board are excited at the prospects that Catherine will bring to the BID. Blackburn BID began in 2014 and in 2018 ran a successful renewal vote for a new five-year term to run from 2019 to 2023. The BID area includes over 350 businesses and has three main strands of work: Marketing and Promotion; Safe and Secure; and the Environment. The BID raises funds to invest in the town centre through a small levy on businesses within the BID area whose rateable value exceeds £10,000pa. Businesses in the BID area who aren’t levy payers can also support and become a member of the BID by paying a small voluntary annual fee. Each year, the BID is estimated to be able to invest in the region of £300,000 in its priorities for the benefit of town centre businesses. Amongst its awards and achievements, Blackburn BID won the Great British High Street of the Year “Winner of Winners” award in 2016 and has been awarded Britain in Bloom Gold awards regionally and nationally for 3 consecutive years. It’s also delivered successful marketing campaigns and a calendar of events which have seen thousands of visitors’ attracted to Blackburn town centre. Peter Jackson Jeweller enlists celebrity designer to launch student competition and find top talentWhat’s On in Blackburn from Monday, 8th April 2019 to Sunday, 14th April 2019.